A Spartan warrior knows no fear, but that does not mean they should charge into battle without adequate protection. 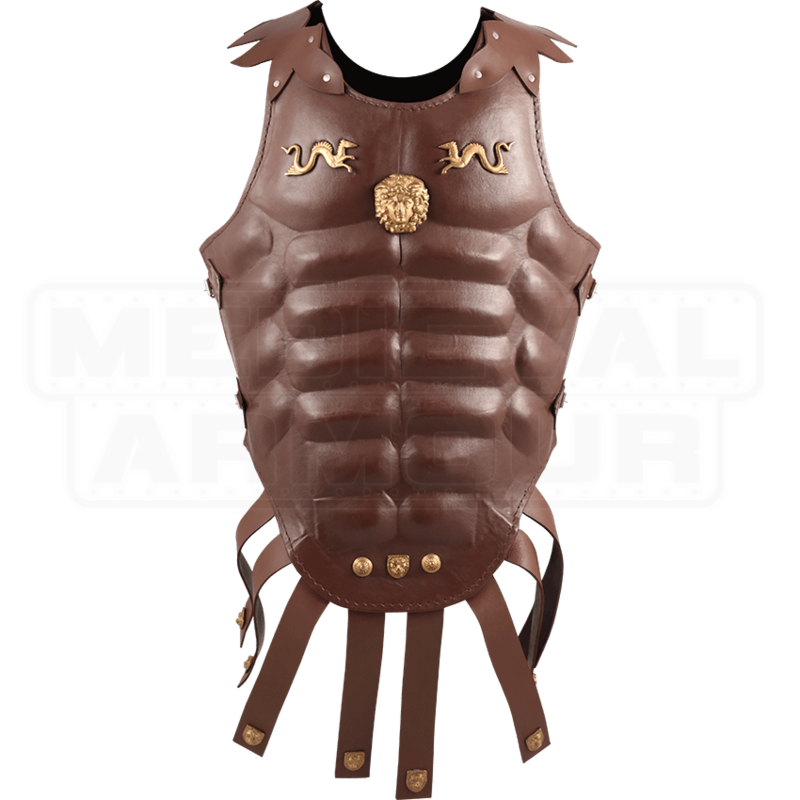 The Royal Greek Muscle Cuirass is just the thing for any Spartan king hoping to raise morale among the hoplites! 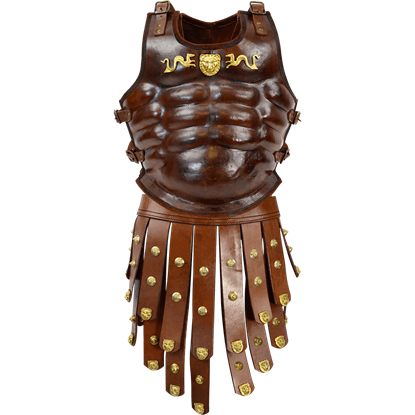 This leather cuirass consists of a breastplate and backplate with a classic Greek muscle design. The top of the chest is adorned with small, gold-colored metal accents consisting of two dragons to either side of a manticore head. Matching accents decorate the bottom edge of the chest above the attached leather battle skirt. Each tassel of the skirt is adorned with more gold tone metal accents. 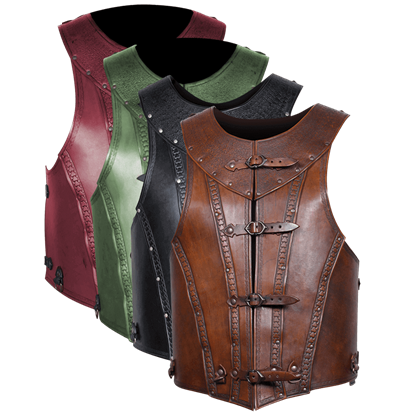 Two adjustable straps on each side of the cuirass make this Greek armour easy to wear. 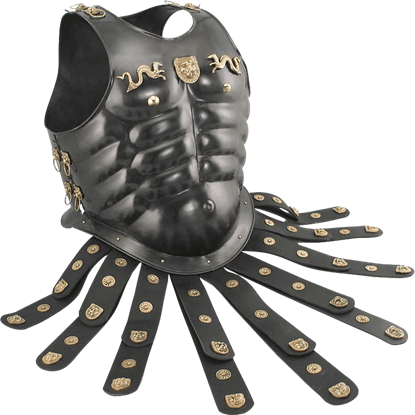 The Royal Greek Muscle Cuirass can be worn on its own or worn over other armour, clothing, or padding, making it ideal for reenactment, costuming, and even collecting. 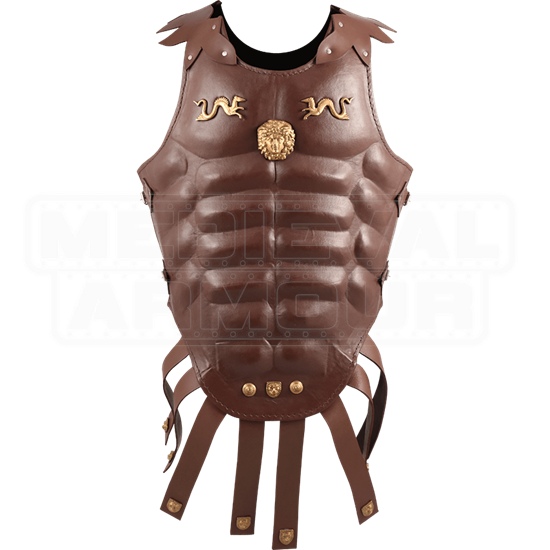 Bring the might of ancient Greece into your life with this traditional muscle cuirass. When you march on the Persians, you want them to see you and feel fear. What better way to intimidate them than by wearing an armour that displays your physical prowess? 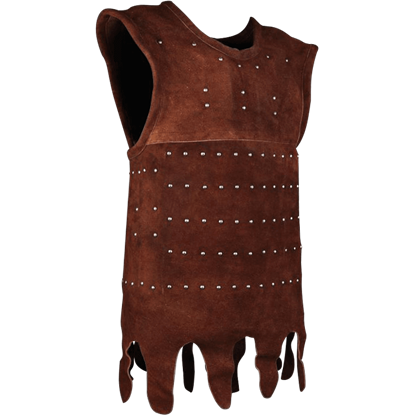 For any hopeful hoplite, the Greek Leather Cuirass is just the thing. If you hope to command the armies of Sparta, you need armour that distinguishes you from the rest and commands the respect of your forces. 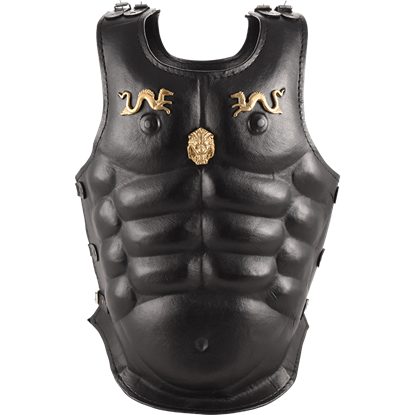 The Greek Muscle Cuirass is just the thing, its design offering both regality and protection. The muscle cuirass, known also as the heroic cuirass for its statuesque look, often features what the Greeks considered to be physical perfection. 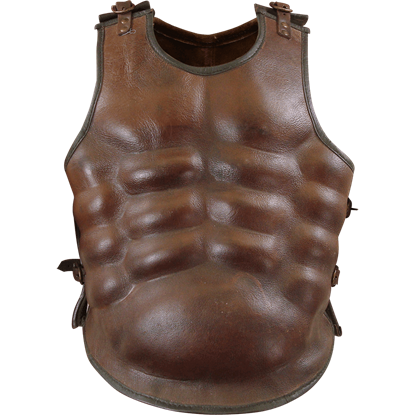 The Greek Leather Muscle Armour is a perfect example of this favored cuirass. This eye catching Greek armour is made of blackened steel with decorative brass lion and dragon ornaments. 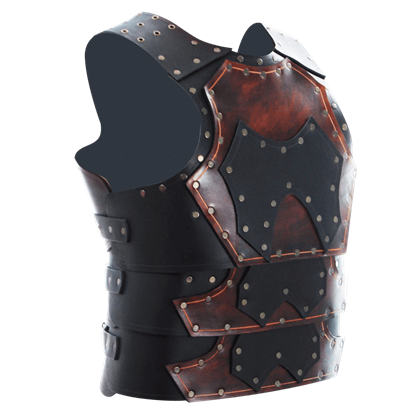 Our wearable muscle armour includes the breastplate and backplate and looks stunning over chainmail. 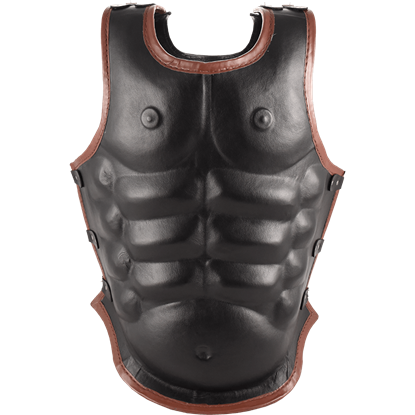 Flexible, fast, and protective, this Praetorian Leather Cuirass is the armor for a warrior who needs to stay mobile and light. Plus, its old-world Roman style and rich color makes it a great way for a warrior to show off style, too.